Despite the West Coast IPA being arguably the most recognised American IPA (AIPA), a new, very hazy, smooth and fruit forward IPA is exploding in popularity in America. Initially coined on the East Coast where IPA styles are typically better balanced and maltier than their westerly neighbours who enjoy a high hop factor, intense bitterness and a very floral, pine-like flavour in their beers. NEIPAs are intentionally cloudy and left unfiltered which helps give the beer a creamy mouthfeel. The style utilises specific hops which leave a juicy, tropical sweetness rather than a classic bitter dryness. In a NEIPA, the focus is on championing very fruity hops which release sweet smelling esters. If you were wearing a blindfold and you sniffed a pint you might just bet on your own dog you were smelling a fresh glass of brekky juice. No one would blame you if you mistook a NEIPA for some juice either, because it’s often completely opaque in its colouring. The style was first inspired by a now-famous cult beer known as the Heady Topper brewed by The Alchemist back in 2011 in Vermont, a state in the New England region of the US. 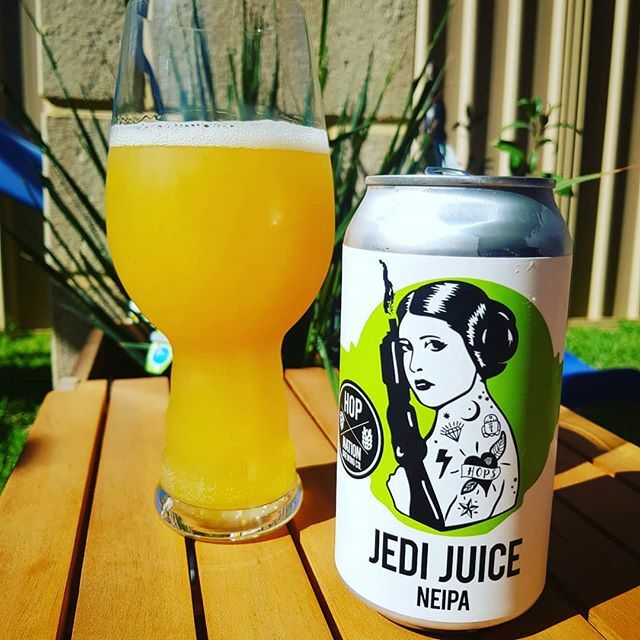 Over the past 7 years, this style has become commonplace across America and has finally made its way to Australian shores with the NEIPA being arguably one of the most popular beer styles on the local craft market. Beers including Mash Brewing Co’s Little NEIPA and Feral Brewing’s Biggie Juice have followed this style as a scaffold and are being very positively received here at home where we love a good tropical beer suited nicely to our warmer climate. If you're partial to sucking on a sour gummy worm or warhead from time to time, then chances are, you probably wouldn’t mind getting around one of these. Sour beer was once a style reserved for the nerdiest of beer geeks but in the past year we’ve seen sour suds explode into the zeitgeist of the craft movement. These beers were originally made popular through European styles including Flanders red ale, Berliner Weisse and Belgian Lambics (some of the world’s rarest) which are barrel aged for long periods and often incorporate high-quality fruit into the beers. These beers are reminiscent of an era long before stainless steel brewing tanks and get their tart flavour commonly through the inclusion of wild air born yeast strains. The mystery yeasts cultivate the brew in an often spontaneous and unpredictable fashion. No yeast is added by the brewer! Unlike the hop-centric Yankee craft beer universe, these sour beers impart an impressive level of complexity and depth of flavour – more akin to a wine than a beer. As a result, the style is now attracting its own loyal following and converting many non-beer drinkers into budding Cicerones. It was only a matter of time till this ancient European trend found its way to the shores of the U.S. However, these tart, fruity beers are quite polarising when it comes to a traditional beer enthusiast’s palate. Some can taste more like a cider or Champagne than an actual beer while others are just cheek-puckeringly tart. This means sours are a style that can be enjoyed by a broader cross-section of drinkers who might not typically reach for an ice cold tinny. Australia is of course, following suit and copying our Yankee counterparts closely, introducing a number of new sours onto the local market in 2017. Colonial Brewing Co.’s South West Sour was created to market a moderately sour ale to the broader and more casual beer audience. Over the last 7 years or so, we’ve begun to see a growing trend in the US market where some of the more popular small-scale craft breweries are being bought out by larger multinational companies and premium international breweries. Craft beer in the US will be estimated to be worth approximately $502.9 Billion by 2025 increasing by over 19 per cent annually. This is a figure that’s very hard to ignore by major multinational brands. Are you familiar with Ballast Point Brewing Company? Did you know it was bought by Constellation Brands (they own Corona) for $1 billion? While Goose Island has been a brand of Anheuser-Busch InBev (owns Budweiser) since 2011. In fact, only two foreign-owned breweries make up over 90 per cent of US beer sales. Last year, we saw local company Feral Brewing sell to Coca-Cola Amatil while Mountain Goat Brewery in SA sold to Kirin. 4 Pines Brewing Company in NSW and PirateLife Brewing in SA have now been bought by CUB and even Little Creatures is owned by Kirin (through Lion)!